Aqua Moto Racing Utopia Review – Making Waves! If you ever were to question which genre of gaming has been done to death, racing may or may not be on that list. Games like Forza Motorsport, Formula 1, and NASCAR all give fair representation to what players expect, but every one of them deals with racing on asphalt. 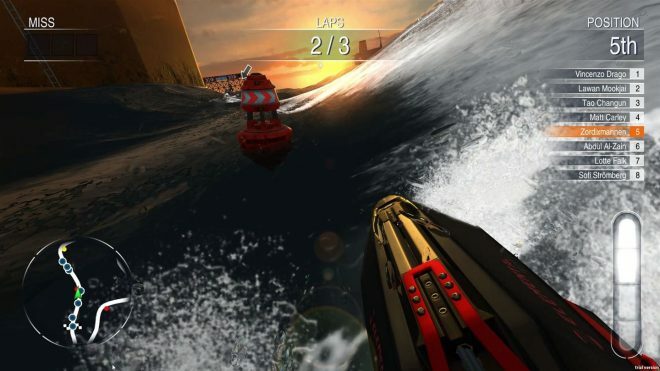 Some titles such as Wave Race 64 and Riptide GP have sought to bring the sport to the water at one time or another, but these titles have been few and far between. 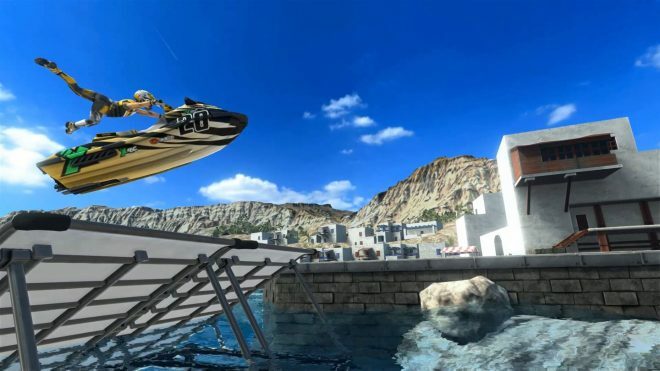 Aqua Moto Racing Utopia is looking to bring new life to the water sport with some familiarity to what we’ve seen in past games all while introducing new concepts of its own. Developer Zordix may just breathe new life into the genre. The question remains however if it’s enough to hold water or if it’s best to let this jetski sail. 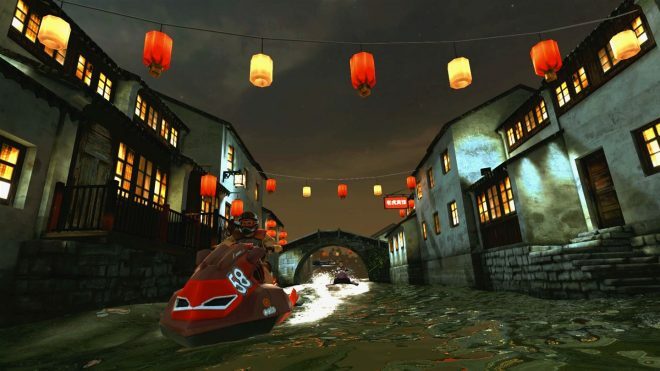 Aqua Moto Racing Utopia is jam-packed with a variety of modes. Championships contain a series of different races based on the cubic centimeters of speed. Races start around 500cc and as the speed increases so does the difficulty. Championships are separated between 3 modes, the runabout division, ski division and freestyle division. The runabout and ski divisions pertain to completing races that have you going around different sides of marked buoys for a set number of laps using those specific vehicles. The Freestyle division is all about doing tricks off ramps to earn points. The runabout and ski divisions both offer 6 challenging championship races, while the freestyle division only features 3 championships. Single event modes are also present. Time trials have you racing to complete specific tracks of the 10 included levels within a certain time. Freestyle challenges you to earn a certain score in 90 seconds for the gold medal. Custom races give the player the freedom of setting up races by allowing free choice of venue, as well as settings around laps, weather, etc. Leisure mode is an interesting take on free roam that allows you to load into any level and do whatever you want. Aqua Moto Racing Utopia does also feature online multiplayer and split-screen modes. Customization Options – From the very start of the game, you’re tasked with creating your character’s profile. The profile pertains to the country of origin and your appearance. The variety of customization options seem just the right size they need to be for the player to truly feel they have choices. After choosing your character’s gender and facial features, you have the ability to customize their weight, height and even what clothes they are wearing. Whether you want your racer to be in a full tracksuit or in nothing but a swimsuit, there are a fair amount of options. Players are also able to customize the color of the clothing as well. The customization doesn’t stop there. Any vehicles purchased during the game also allow for customization as well. Though the watercraft customization only allows for changing the colors on the craft. Variety of Venues – With a game that takes place on open waters, it allows for more unique venues. Aqua Moto Racing Utopia offers just that. 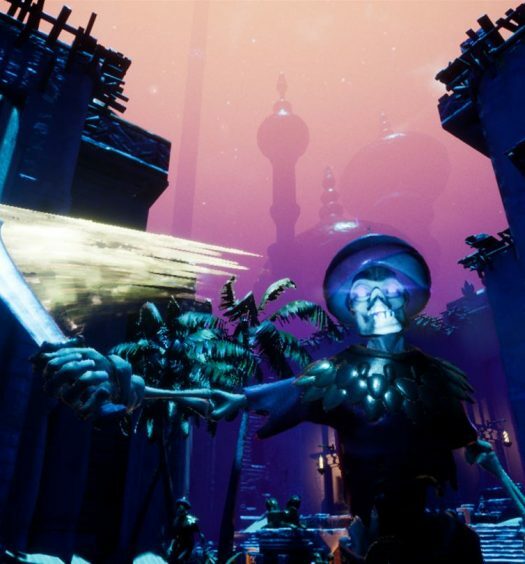 Of the 10 different levels available, players can expect to see some interesting sights: from a beach area to the tunnels and aqueducts of a city to even coursing around the confines of a large freight dock. These venues also have a few different track layouts to try and help each race in the area to feel different. The size of the venues is also unique. The Pearl Dome venue takes place inside a small area inside of a sports dome that can lead to some short but hectic races. Freestyle Controls – When it comes to doing freestyle, a lot of games tend to go overboard with the number of moves at a player’s disposal along with the technique required to activate them. Aqua Moto Racing Utopia has the moves conveniently laid out between the left and right sticks. Pushing the left stick in a particular direction will flip or roll the watercraft while pressing the right stick in any specific direction will cause the character to do the trick. There are tricks that can be executed while on water and some that require you to be in the air to trigger. Holding the left trigger allows for the craft to spin or roll faster for some insane rotation. Holding the left bumper while executing a trick with the right will pull off a few different tricks. Combining all these different elements while jumping off of ramps or up waves can cause for some insane point streaks. Living Environments – Some of the different venues really help the environment around you to feel alive. In the open waters, you can see dolphins swimming underwater and jumping above water. In the swamp venue, you sometimes see alligators walking into the water. The Freight dock has different ships actually moving which can be a potential hazard for getting in your way. The jungle has waterfalls running, trees swaying. The life of the different worlds is a particular kind of wonderful. Stone A.I. – When it comes to squaring off against the A.I. opponents in-game, chances are any time you bump up against one another you will always end up losing. A big issue with the A.I. is that they are essentially a rock, you can slam into them, try and push them out of the way but at most times they are impossible to shake. To your opponent, you are nothing but a stick of butter. Whenever an opponent slams into you, you’ll find yourself flying into a wall, or off in a completely different direction than you need to be going. In some of the more open venues, this isn’t much of an issue as you’re able to get space between the two of you. But when it comes to the small and narrow venues that’s when you’re in trouble. Shortcuts and narrow tunnels constantly have you face to face with opponents, and it’s almost always a losing situation. Needless to say, their overall difficulty as a racer is where it needs to be, it’s only their stature that causes an issue. Oil Rig Level – This level is one of the most infuriating levels you can expect to deal with. The level has you in an open ocean area next to an oil rig with the intensity of waves set almost to max. But that’s just it; the waves are the problem. While trying to drift around buoys or keep ahead of your opponents, it becomes a real pain trying to stay in the lead due to the constant times you are being thrown around. It’s almost as if you or the watercraft you ride doesn’t hold any weight. It gets so intense to the point you’ll find yourself 3 feet up in the air regularly and not making any progress. The waves push you so hard to the point it causes you to miss a buoy. They throw you so high that you hit hanging pipes or the starting line sign and wreck. When you’re playing freestyle in the level, it’s impossible to tell which wave is going to send you flying up into the air. Some of the higher waves you’d expect to do so have you crashing right back down, while smaller waves send you flying unexpectedly. The biggest issue comes when racing. Due to the intensity of the waves and it being a completely open area, it can be hard to tell where to go. Unless you are staring at the minimap in the bottom left corner of your screen, you may make a wrong turn now and then. The entire level is nothing short of agitating. Aqua Moto Racing Utopia is solid. It’s the Wave Racer 64 of 2018. The game is easy for anyone to pick up and play. Even those who aren’t at all interested in racing will find enjoyment in the game. With a variety of different modes across 10 different tracks and the ability of online and split-screen play, the game includes the right amount of content to justify the price. 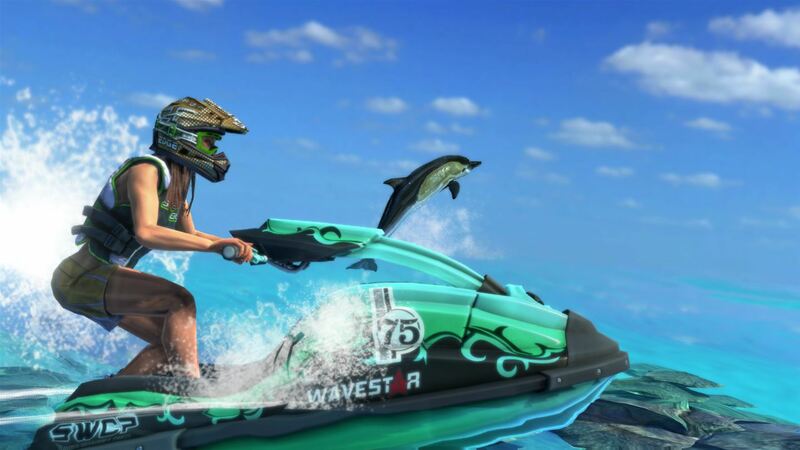 Aqua Moto Racing Utopia is a game well worth the time and money. Don’t let this game pass you by! Aqua Moto Racing Utopia is developed and published by Zordix. The game released on May 4, 2018, for $19.99. A copy was provided for review purposes.